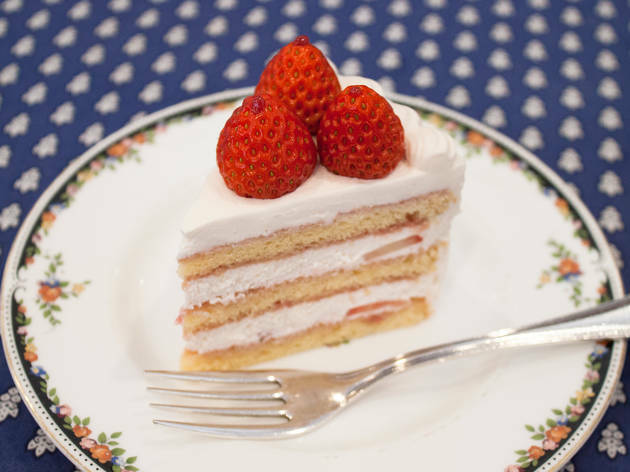 French Pound House has not one, but two types of strawberry shortcake: 'blanc' et 'rouge' (¥632 each). Three strawberries are perched on top of either, but that's where the comparisons end. 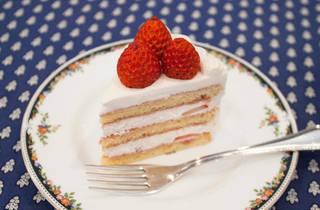 The white (blanc) version's sponge is lightly soaked with strawberry fruit juice, making for a simple and delicate cake. The red (rouge) on the other hand is a bombshell, with a strawberry juice-infused meringue, plus drops of strawberry booze and kirsch (liquer) for that extra flavour. This is definitely the grown-up version of shortcake.